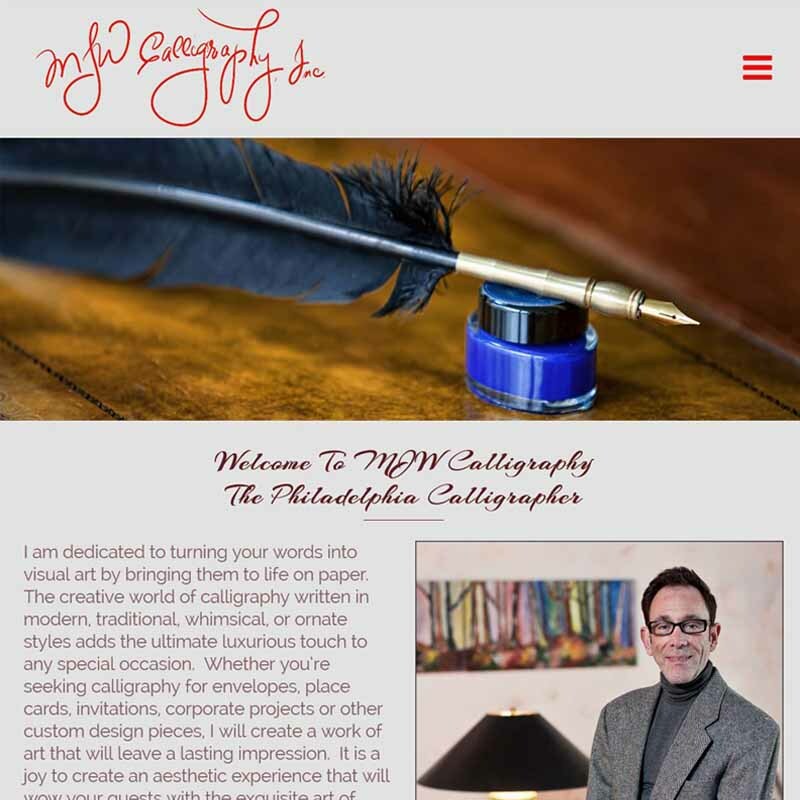 This website was created for Michael Weinstein, The Philadelphia Calligrapher to show off and promote his artistic style of calligraphy. The site was designed to show off his work and promote the unique style that he has for each and every project. David photographed Michael’s work, portrait for the site and several background images used on the site. In addition, the Content and SEO was created to enable Michael to GET FOUND ONLINE.